The acquisition of Decell will allow us to provide further value in the U.S. and abroad. = In 2013 and 2014, AirSage was named to Inc. magazine's list of America’s 5000 fastest growing private companies. 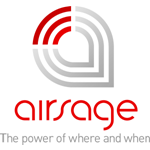 Ranked at 679 in the 2014 Inc. 5000, AirSage moved up more than 1,600 spots from 2013’s ranking of 2,309.